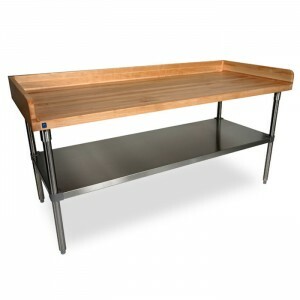 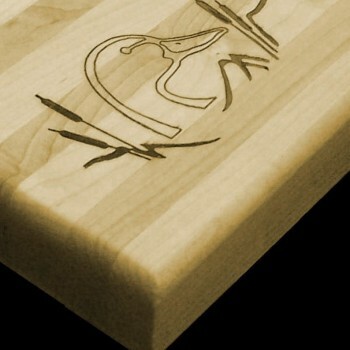 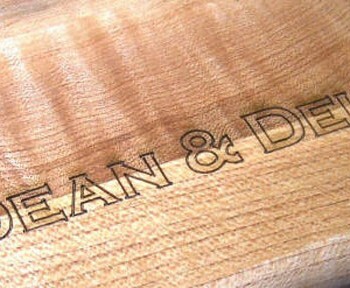 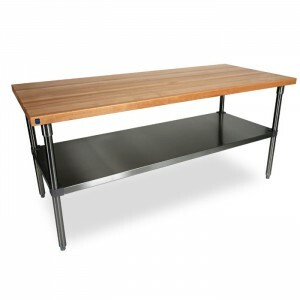 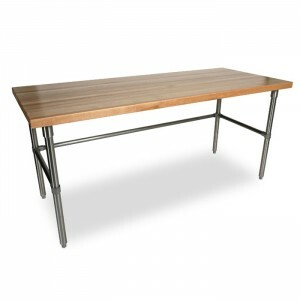 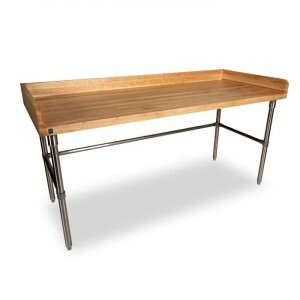 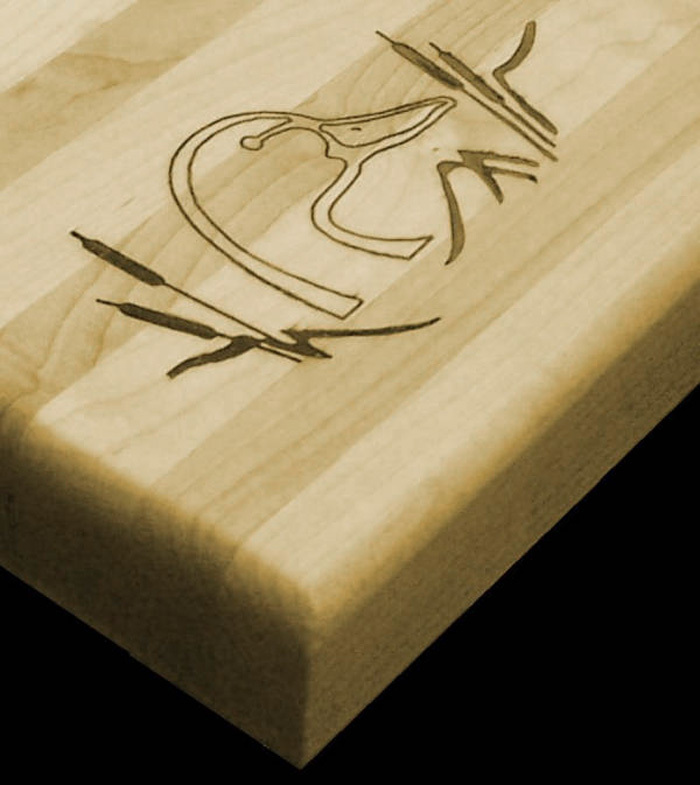 Categories: Commercial Food Service, Professional Cutting Boards. 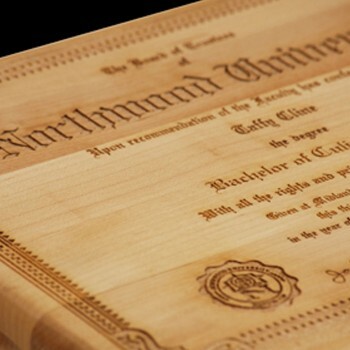 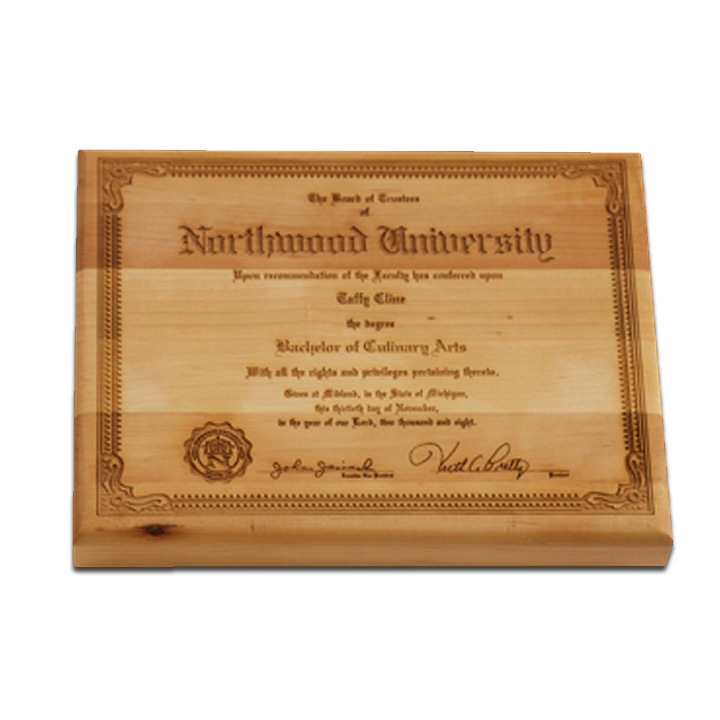 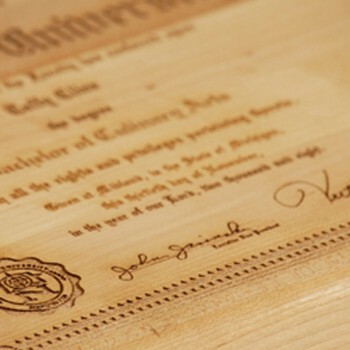 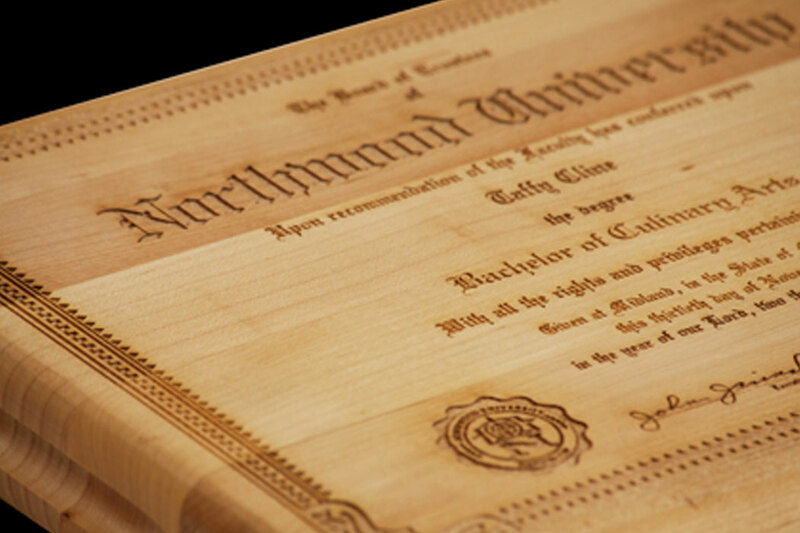 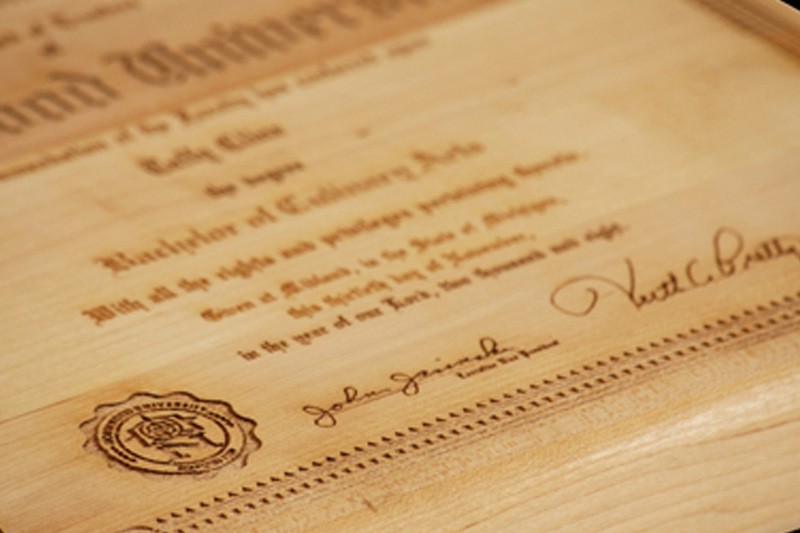 For an impressive and unique promotion for culinary schools, food service suppliers and gourmet products businesses, consider custom branded butcher block cutting boards or chopping blocks. 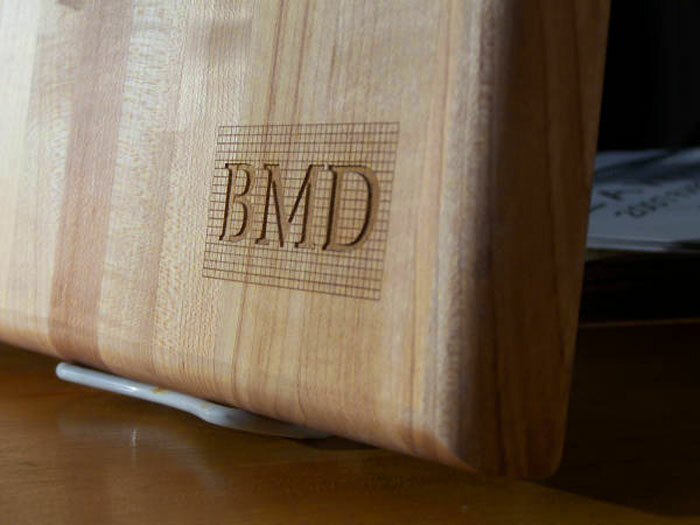 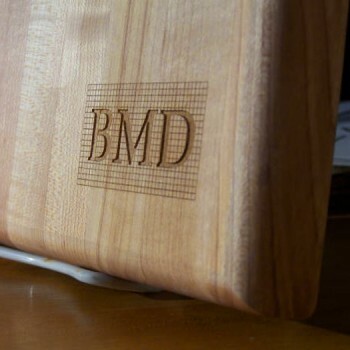 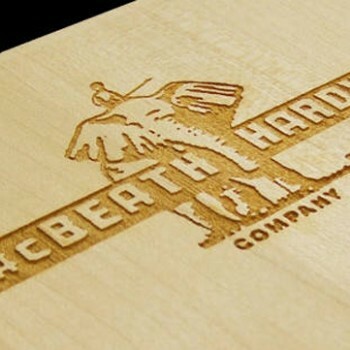 Available in three popular sizes and two thicknesses, we can customize your boards with a variety of methods including hot branding, laser engraving, and for larger sizes, CNC milling. 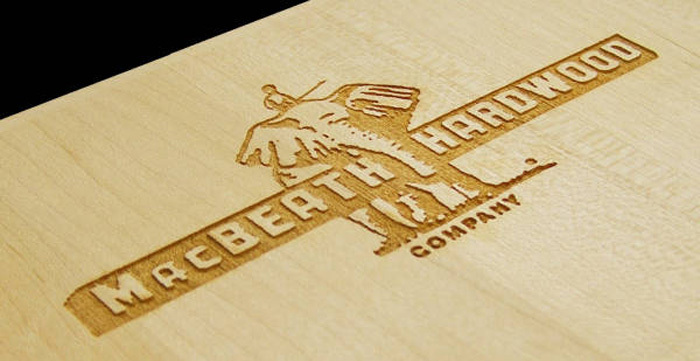 From logos and brandmarks—even detailed type, contact us to learn more.